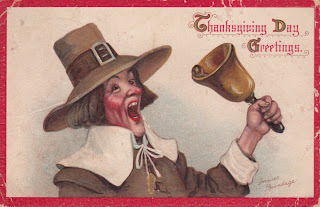 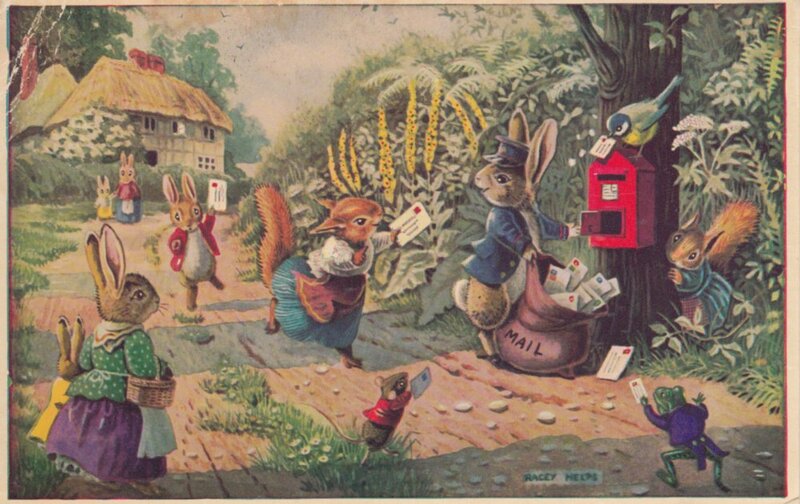 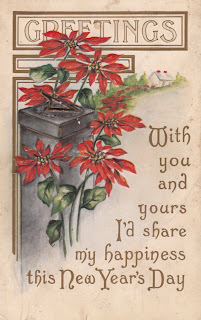 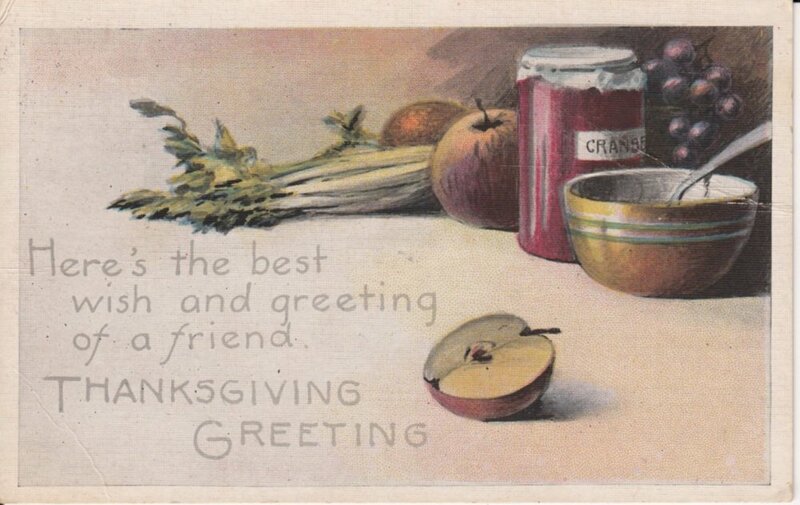 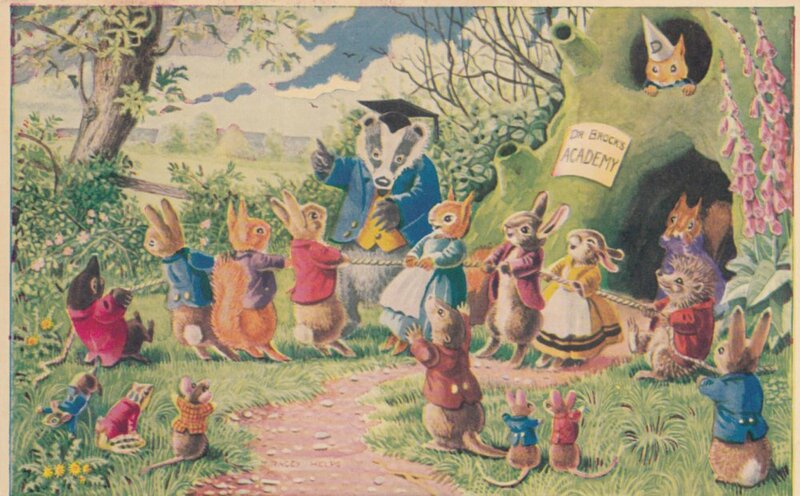 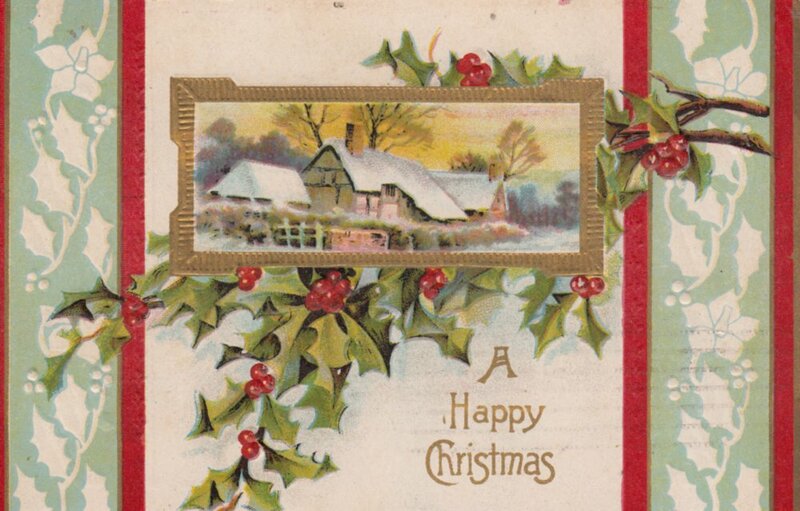 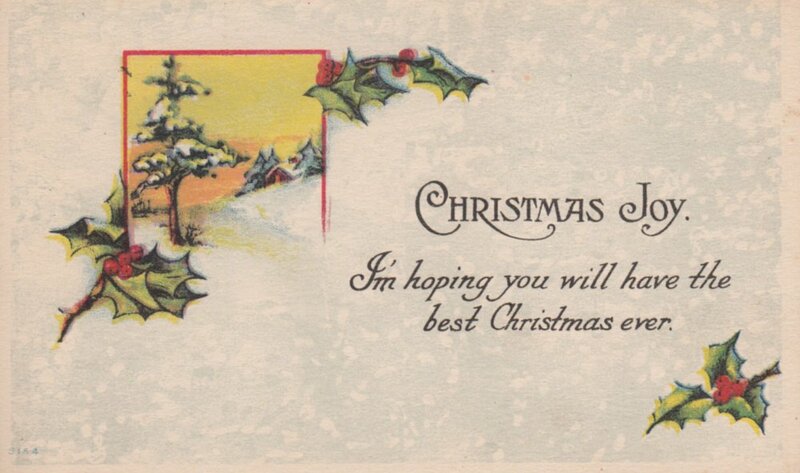 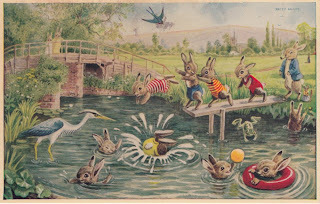 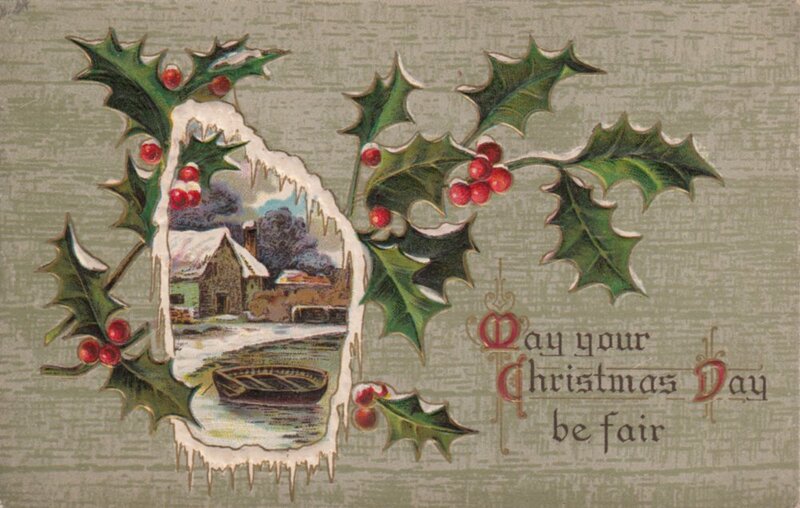 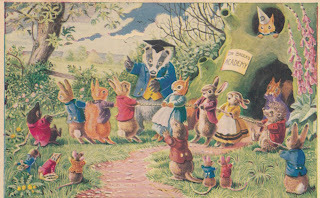 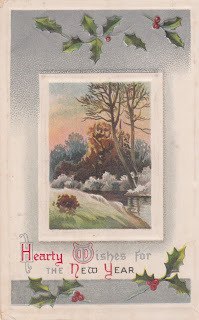 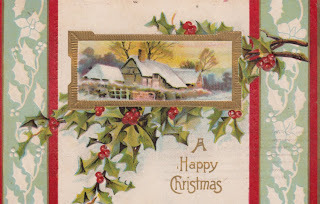 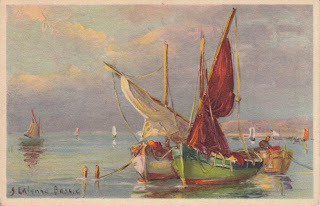 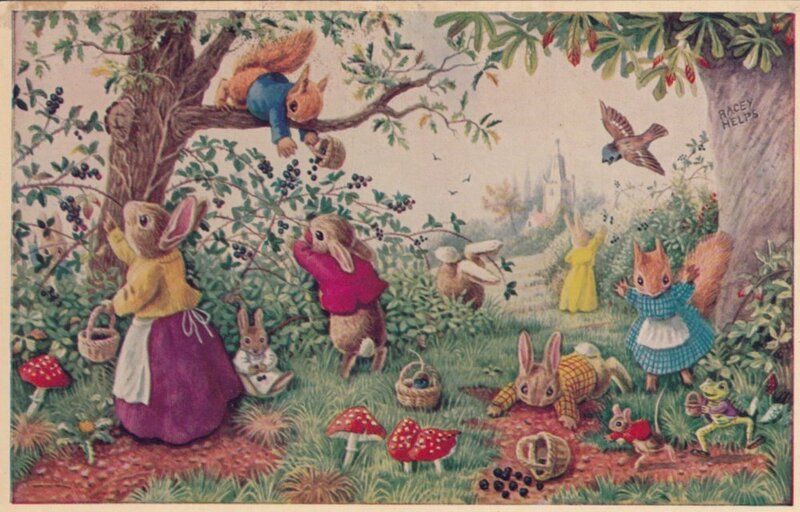 I will end this year the way I began it with some Happy New Year's Greetings cards from the early 1900's. 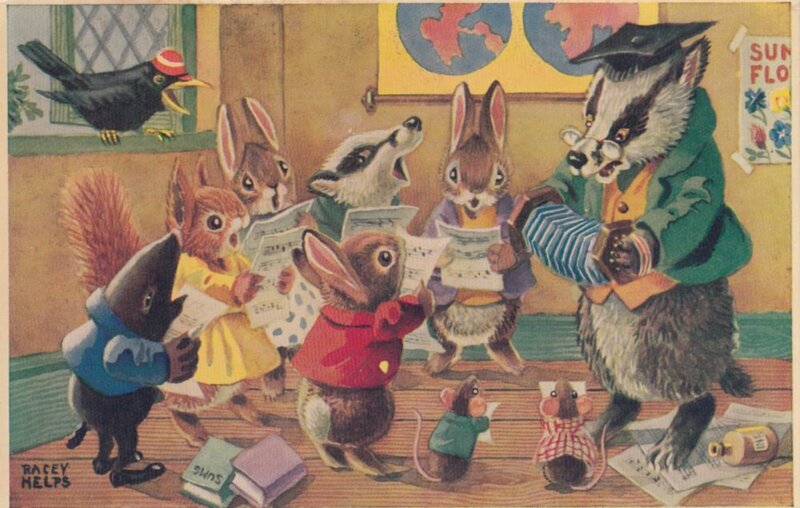 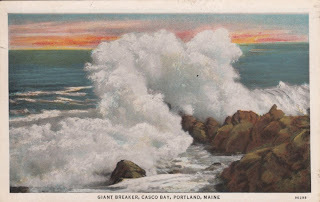 I hope you all have enjoyed viewing my postcard collection this past year! 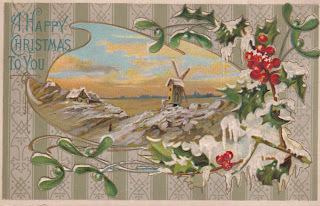 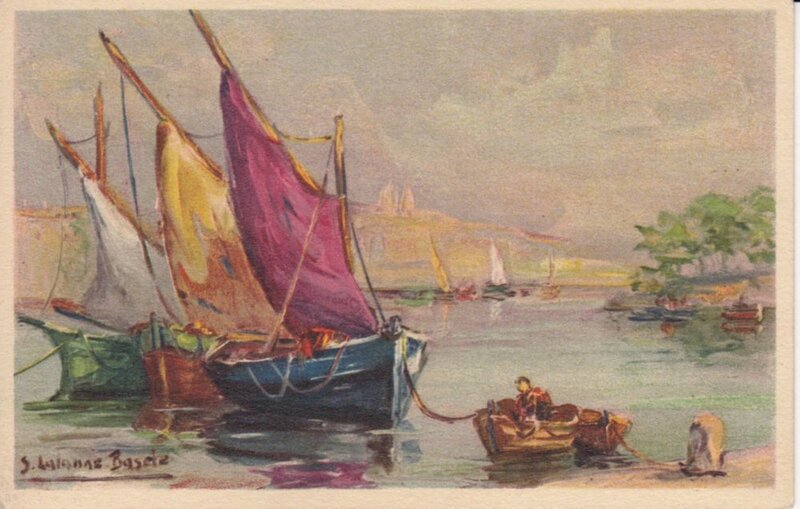 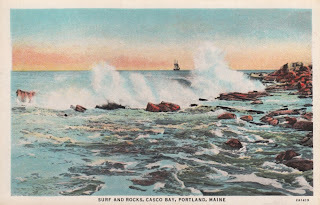 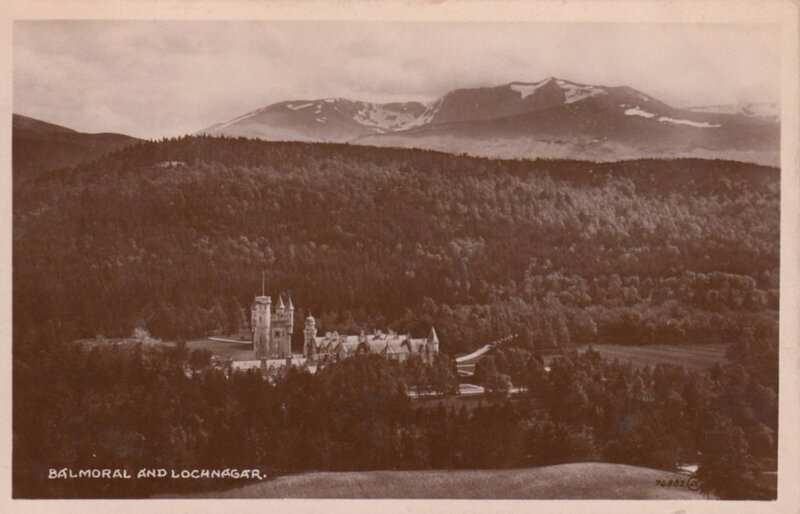 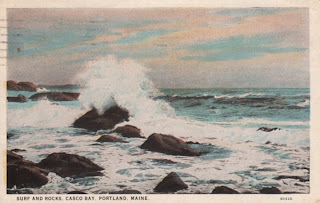 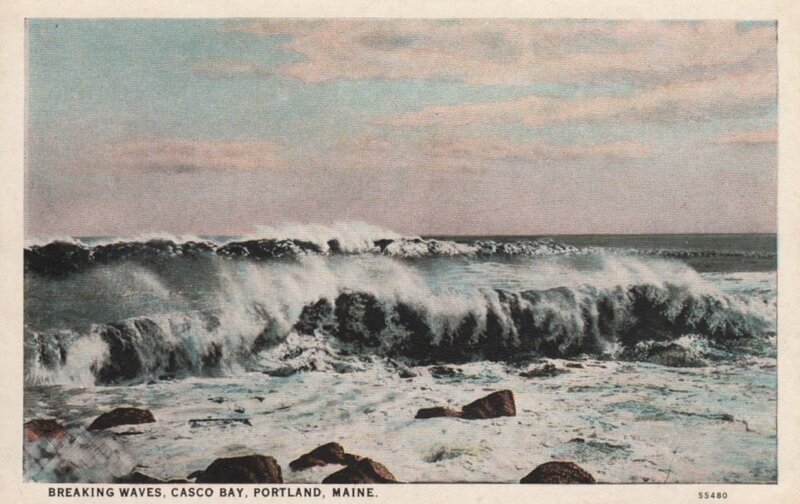 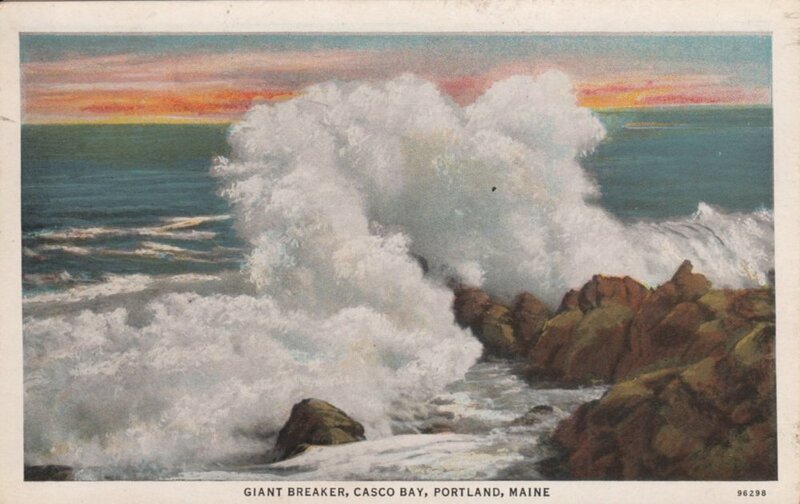 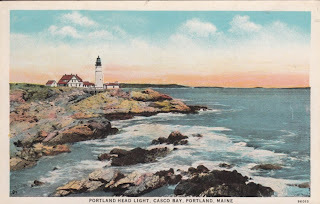 More of the landscape peek cards, these cards are from around 1910 according to their postmarks. 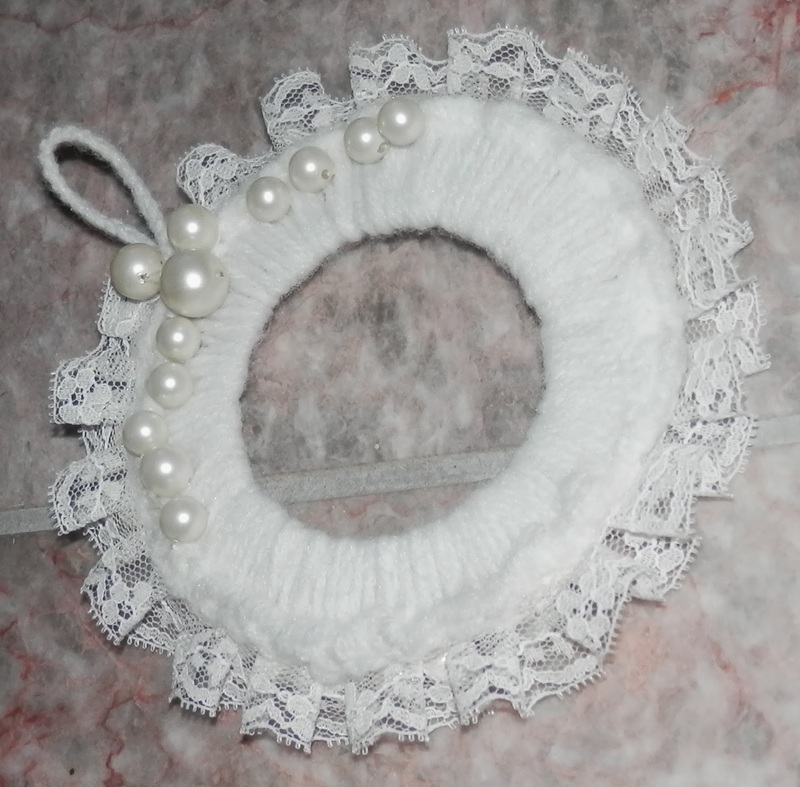 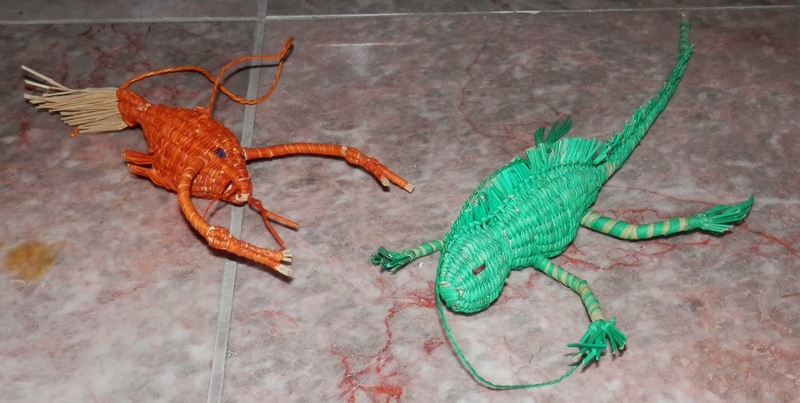 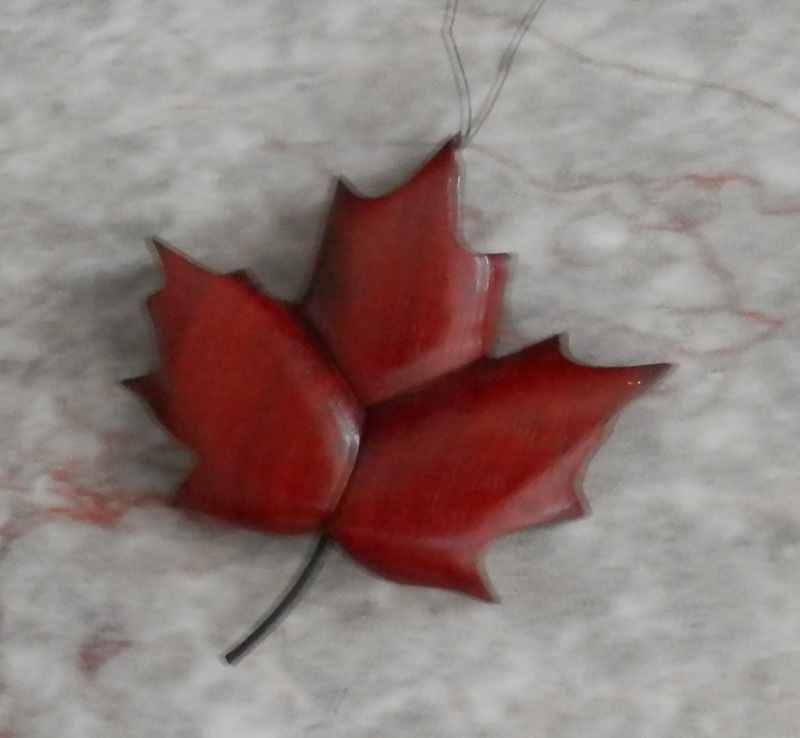 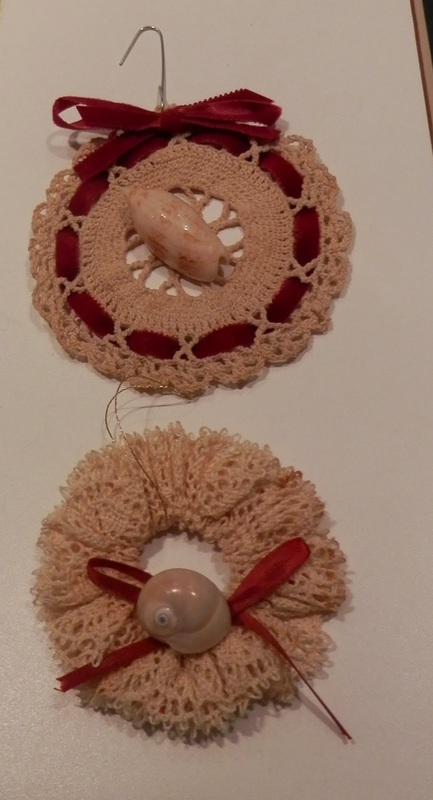 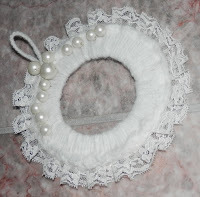 Christmas Ornaments: Handmade is Best! 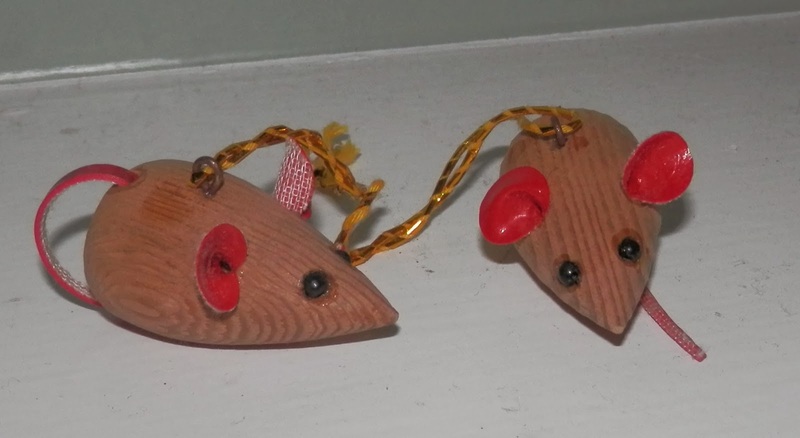 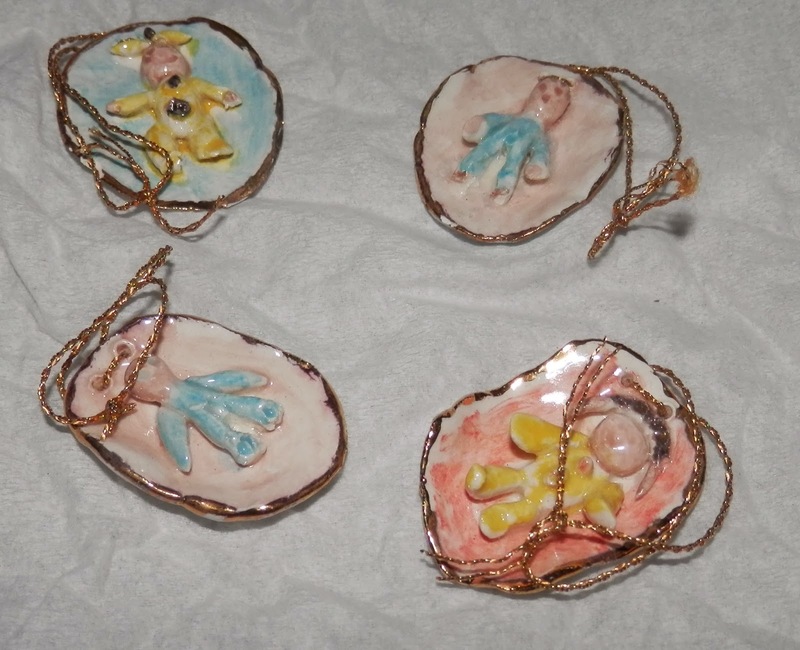 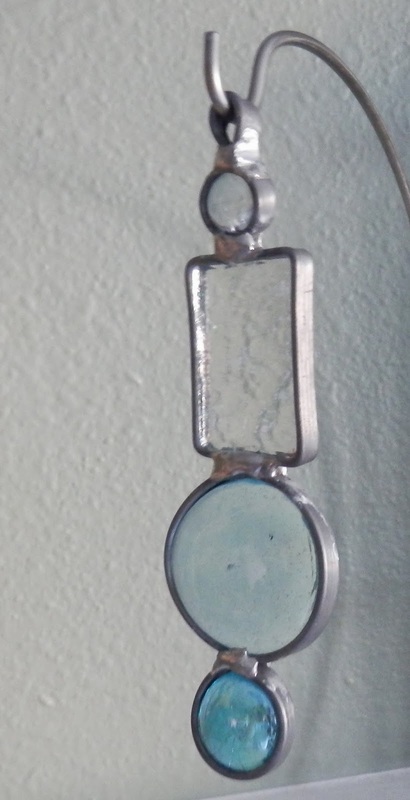 Last year I blogged about my Christmas ornaments and it was so popular, that I am going to do it again this year. 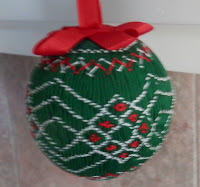 I have so many ornaments, there are too many for one tree. 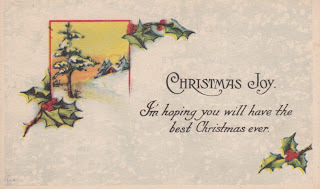 And I only have one small tree! 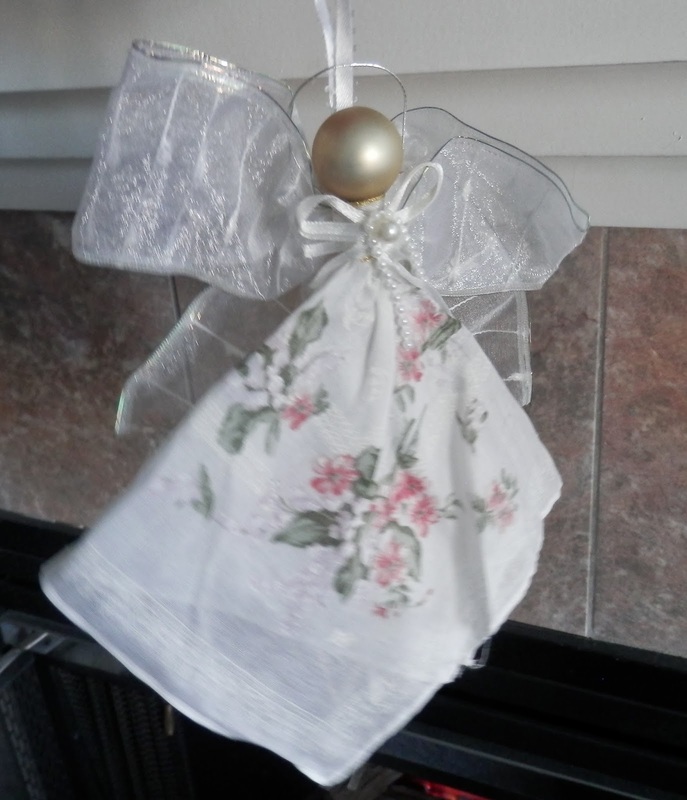 So each year, I rotate my ornaments and put up different ones. 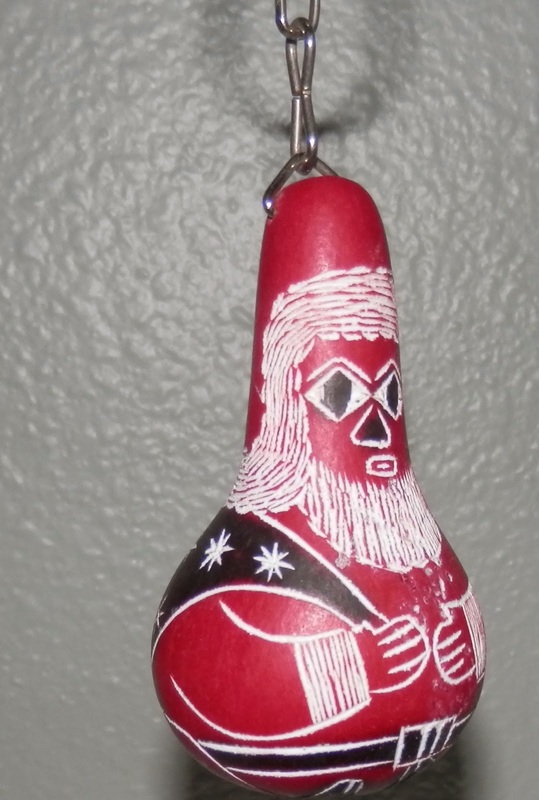 So this year, I picked some ornaments that were not on the tree last year. As I was going through my ornaments, I realized that the majority are handmade. 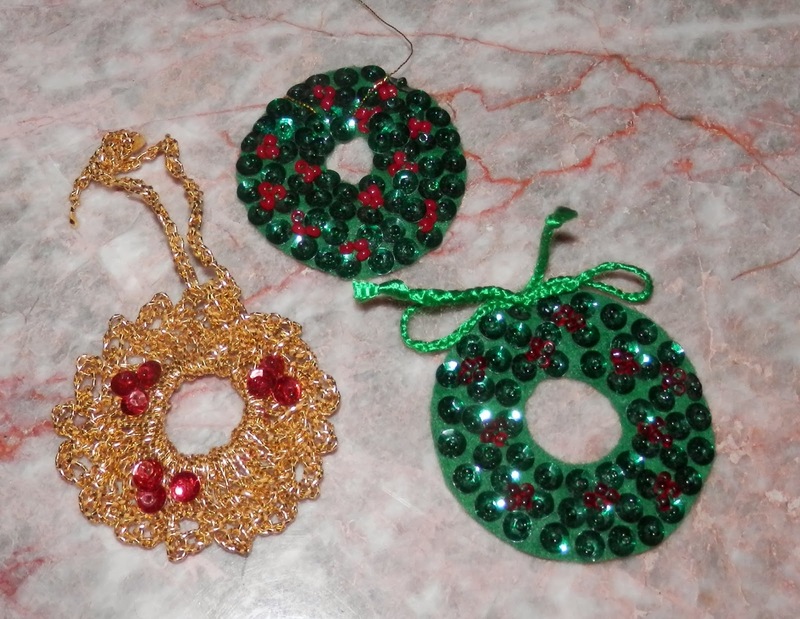 They are either made by myself and my family and friends or I tend to purchase handmade ornaments. I guess I like them better than the mass-produced ones. 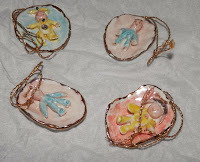 I love the originality and the diversity that the hand crafted ornaments represent. 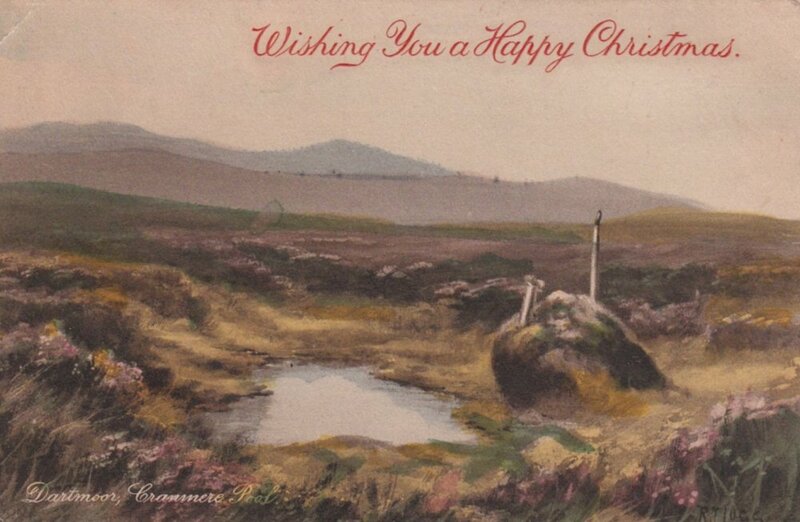 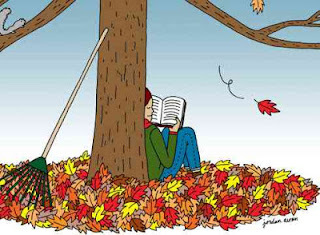 I love these holiday cards with a little peek of a landscape. They were used wonderfully in the opening credits of the movie, The Family Stone, with the landscapes coming to life to the tune of "Let it Snow"...these are dated 1914 and 1917 according to their postmarks. 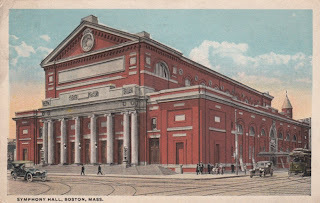 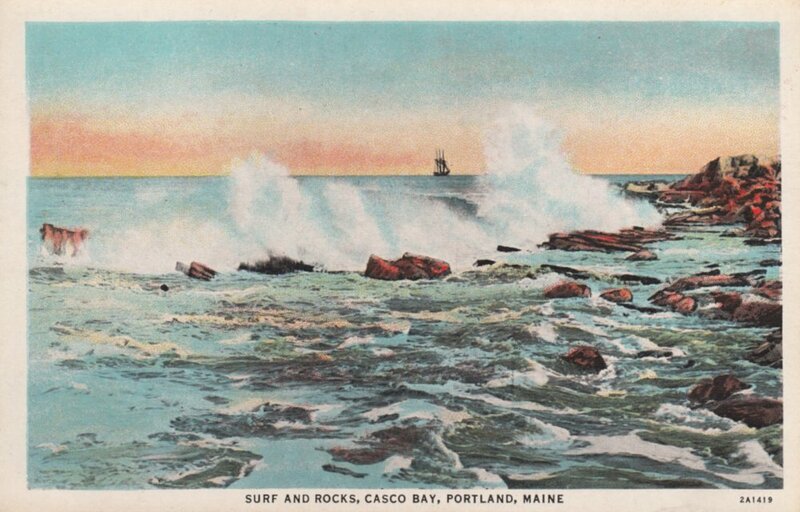 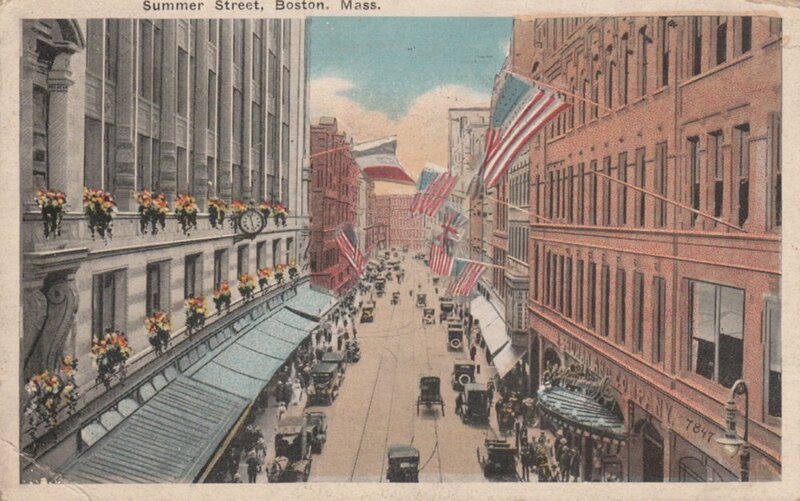 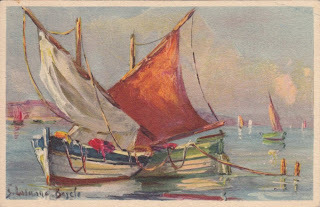 This Trio of Postcards are all of Boston, MA and they range in age (according to their postmarks) from 1919 to 1922. You can see the 1920's era cars on the cards. 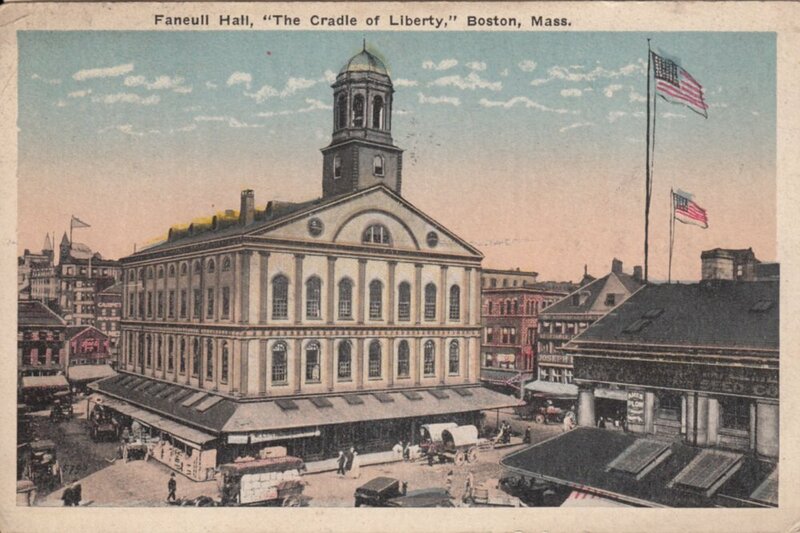 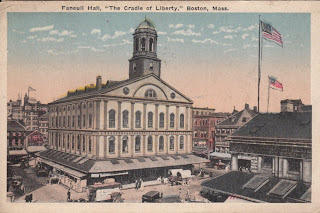 I have visited Faneuil Hall in Boston many times, from childhood vacations to layovers this year for work. 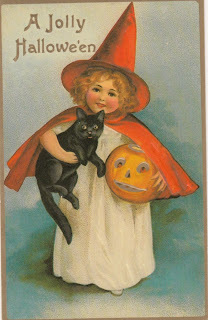 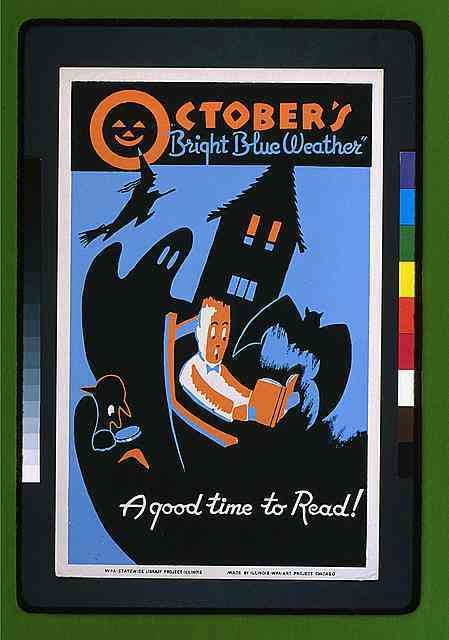 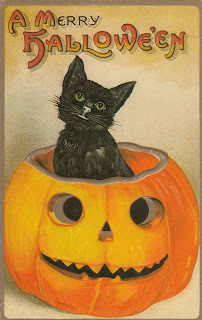 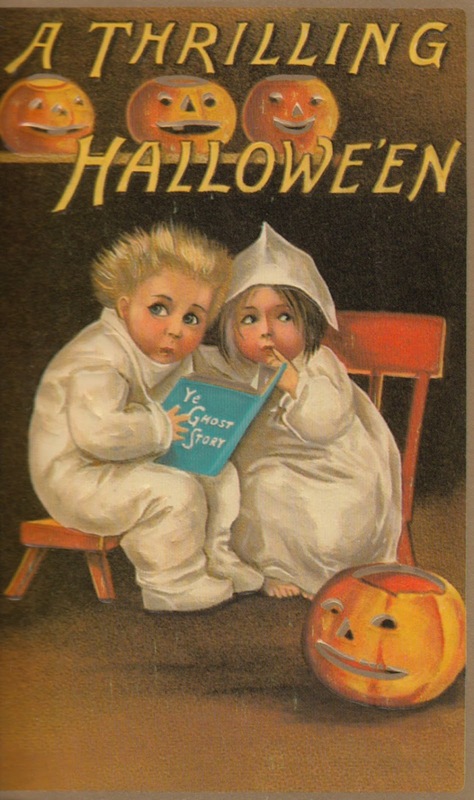 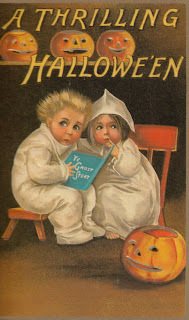 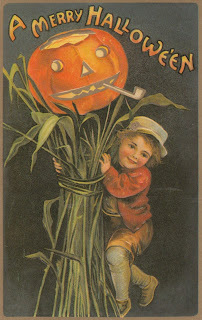 Here is a quartet of Antique Halloween Postcards in celebration of Halloween coming up this week! 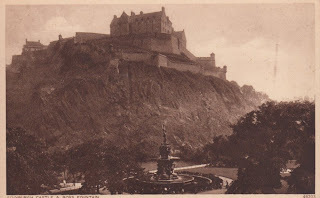 Here we have Balmoral and Edinburgh Castle. I have been lucky enough to visit both of these! 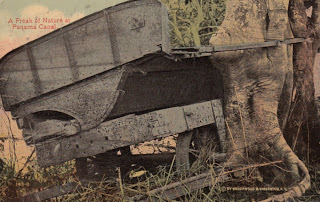 Both of these cards are actual photographs from the early 1900s. The card at the bottom depicts a piece of machinery that was used to dig the canal, reclaimed by the jungle as trees grow around and through it and it becomes part of the tree! 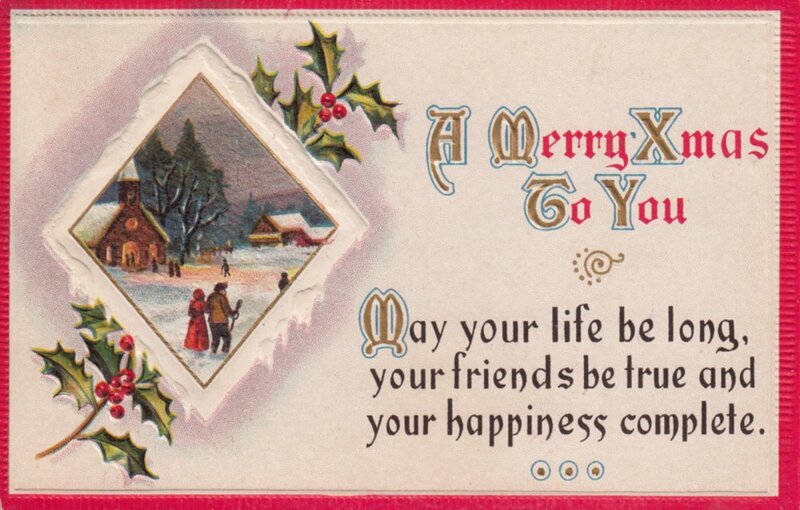 The card on the left is not very politically correct. 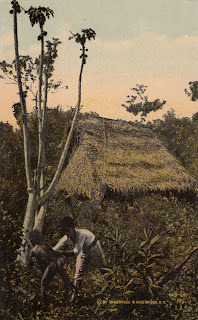 Here is the text from the back of the card:"Wild Natives and Their Home, Interior of Panama. 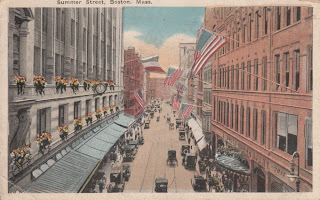 Thirty miles north of the canal, almost within sight and hearing of the industrious army busily engaged in bisecting a hemisphere for Uncle Sam, the natives are wild. 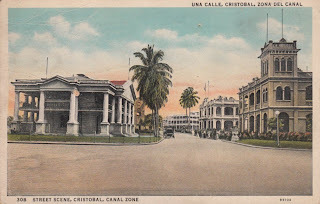 As witnessed by the photograph of the young fellow taken under difficulties in the shade of the almost leafless Paupalla tree on the left, very little consideration is given to the question of clothes." 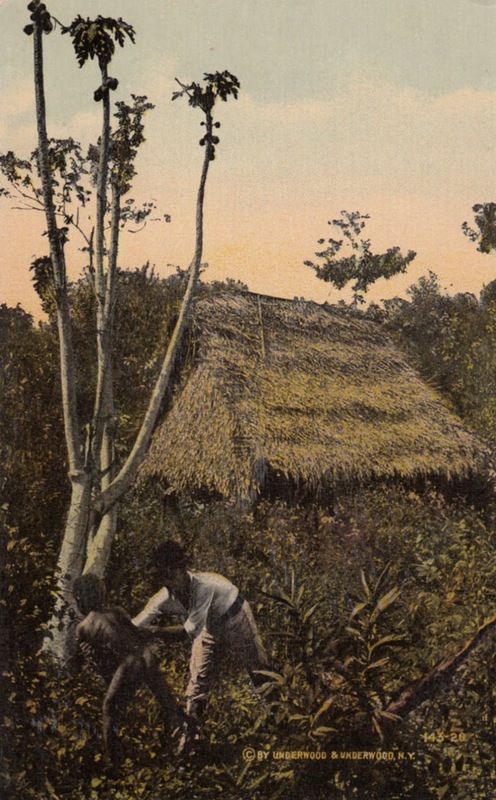 I imagine you would have difficulties taking a picture if you were a white man trying to grab a young, naked black boy and hold him still for a photo!